BASKETBALL SPOTLIGHT NEWS: Ramel Lloyd Jr. Ready For The National Spotlight! 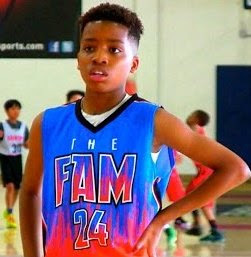 The West Coast will be sending one of their best to the Basketball Spotlight Future Phenom Camp. Ramel Lloyd Jr. has been a national name for years and now the rising 7th Grader will be traveling to District Height, MD to let the East Coast see his skills. Lloyd Jr. is a do it all point guard with sick court vision and great range on his shot. We are very excited to see him play in person and stay tuned as we bring you more top prospects heading to the Future Phenom Camp August 27th and 28th.